Western Mandalas Of Transformation: Magical Squares - Tattwas - Quabalistic Talismans (Llewellyn's Golden Dawn Series) by Soror A.L. About meSekhet-Maat Lodge represents Ordo Templi Orientis in Portland, Oregon. We are chartered to initiate through the P∴I∴ Degree. Additionally we offer weekly classes and performances of the Gnostic Mass, host social functions, conduct periodic public rituals in celebration of Thelemic holidays, and offer workshops on magick and related topics. 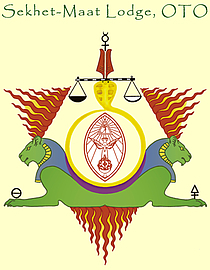 Sekhet-Maat Lodge is dedicated to the high purpose of securing the Liberty of the Individual and his or her advancement in Light, Wisdom, Understanding, Knowledge, and Power through Beauty, Courage, and Wit, on the Foundation of Universal Brotherhood. Our mission is to preserve and advance the religious tenets, doctrines, principles, teachings, traditions and rites of Ordo Templi Orientis. O.T.O. is a model religious and fraternal order of occult initiates, and a leading proponent of Thelemic thought and culture. We encourage creative excellence through aesthetic expression in all areas of individual and group endeavor, and promote an ethos inspired by Liber AL II:35—"Let the rituals be rightly performed with joy & beauty!" We will maintain and improve our physical presence near the center of Portland, Oregon, from which we will continue to offer services in support of our mission to our members and to the public. We will uphold the highest standards of excellence and effectiveness in the practice and dissemination of our religious, spiritual, magical, and ethical teachings. We will espouse and defend the principle of individual liberty while cultivating strong fraternal bonds within our ranks. We will foster harmonious and constructive relationships with the academic, business, civil, and greater social communities within which we operate. We provide frequent opportunities for members to experience our Rites of Initiation, the Ecclesiastical Rites, and Fraternity in a variety of ritual and social settings. We also offer regular classes, study groups, training programs, and guest lectures on various topics germane to the theory and practice of Magick and Mysticism, and publish a Journal wherein members can share their personal literary and artistic productions. Sekhet - from the Egyptian root sekhem, meaning "to be powerful, mighty, violent." Lioness-headed goddess of love and war/destruction. Symbolizes the strength and perseverance necessary to endure all ordeals and accomplish what is to be done energetically and completely. Atu XI, Lust. Maat - from the Egyptian root ma'at, meaning "the principle of truth, justness, and its measure." The principle of natural law. Depicted as a woman or serpent wearing a headdress of red plumes, or as the scales/the balance. Symbolizes the ability to accurately and truthfully analyze one's accomplishments; to avoid self-delusion about personal progress; to view the Work in a balanced manner and in the proper perspective. Atu VIII, Adjustment (Justice). Sekhet-Maat Lodge Library serves as a high-quality resource for Hermetic studies by providing access to books, manuscripts, microfilm, audio and video research material. The library contains more than 350 books in its circulation section for Sekhet-Maat Lodge members, supporting affiliates, and library cardholders to borrow. The library also contains a reference section, including a variety of important volumes, some on loan from private collections. Both the Circulation and Reference libraries are open for browsing during Lodge open hours each Tuesday (see Sekhet-Maat Lodge Calendar for details), or by arrangement with the librarian. For details on the archive material, including how to access the research archive, see Research Archive. Our research station includes a microfilm reader and digital scanner for on-screen viewing, and a laser printer to print the microfilm images when necessary. Access and fees for use of the archive is shown here. For fees and availability relating to long-term research projects, please contact us.